Geographical Information Systems are commonly known as GIS. These collections of computer hardware, software and geographic data are used for capturing, managing, analyzing and displaying all forms of geographically referenced information. 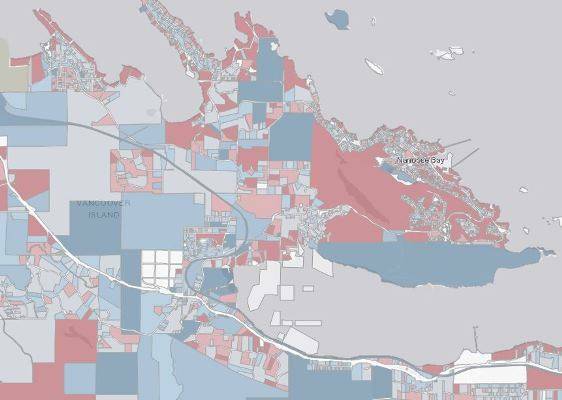 The Regional District of Nanaimo GIS Mapping Department provides GIS services to RDN staff and citizens in the most efficient and effective method possible, leveraging new technologies to dynamically create maps providing value-added service. The staff in this department is responsible for maintaining and updating RDNMap, a geographical information mapping system that contains information on all of the properties within the Regional District. Staff also combines regional GIS data with other information to develop a variety of map products for RDN departments. Input your property address to find out if it is located within an electoral area or municipality within the RDN. This information will help you understand who your elected official or officials are on the RDN Board and what services are provided to your area. Search for and identify parks and recreation trails throughout the RDN with this mobile friendly interactive webmap. Note that this map requires an internet connection and may use data when viewed on a mobile device. If hiking without internet or cellular data, refer to the georeferenced PDF maps below. Keep checking back as more park features and trail data will be added on an ongoing basis. This tool is intended to provide an overview of 2019 Assessment Values within the RDN. Reported values are divided into a number of ranges from $0 to $1 million and higher, or Non-Tax parcels. 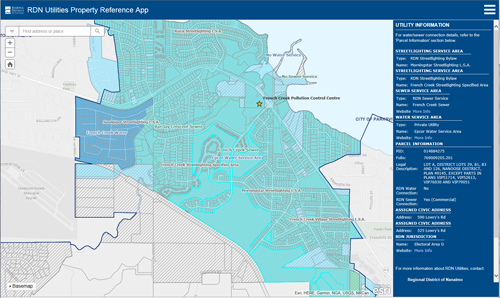 This tool provides Water, Sewer, and Streetlighting information for properties within the RDN, including active water and sewer connections. Search by Address, PID, or Road, or click on a property for utility information. 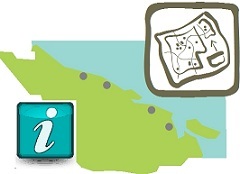 For property inquiries within the municipal boundaries of Nanaimo, Lantzville, Parksville, and Qualicum Beach, please contact the municipalities directly. 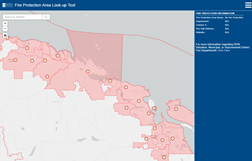 The Regional District of Nanaimo Fire Protection Area Look-up tool enables users to search by civic address to find out if/which Fire Department provides fire protection and emergency response services. The following Parks and Trails maps are available to download and print. These georeferenced PDFs are also compatible for use with various mobile mapping applications, such as PDF Maps by Avenza Systems Inc., available for download from the App Store or Google Play. Keep checking back as more PDF maps will be added on an ongoing basis. The GIS Mapping department collects, stores, updates, analyzes and displays data from a variety of sources, producing GIS products and services for use by the public and internal RDN staff. GIS staff is responsible for the creation, acquisition and maintenance of spatial layers, attributes and metadata required to publish maps internally and externally. Data is centrally managed, allowing the department to provide prompt, accurate and efficient services to RDN staff and citizens. The GIS Mapping Department promotes collaboration and communication within RDN departments and contributes information and insight to assist with day-to-day decision-making. RDN Map products are regularly used by all RDN departments, Board members, emergency services, 911 systems, provincial and federal government departments and agencies, municipalities, utility companies, property industry professionals and area residents. Our GIS data and map products are developed and maintained using ESRI software.